Eating in big cities is hardly ever inexpensive. A good meal at a top-rated restaurant is a quick way to empty your wallet. But every city has its own quiet, inexpensive gems that produce great food at cheap prices. The food experts at restaurant review site The Infatuation put together a list of the best “cheap eats” in Chicago. A unique blend of barbecue, continental, Asian cuisine, and more will leave you drooling. 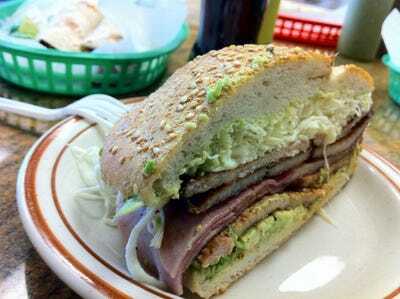 Cemitas Pueblas has two locations that serve authentic Mexican dishes. With one location in the West Loop and one in Humboldt Park, Cemitas Pueblas specialises in cemitas, Mexican sandwiches with egg bread and sesame seeds containing varieties of meat, cheese, and vegetables. Their famous Cemita Atomica has marinated pork, ham, and milanesa with avocado, chipotle sauce, and an abundance of Oaxacan cheese and costs $US11. Their highly touted tacos only cost $US2-3. 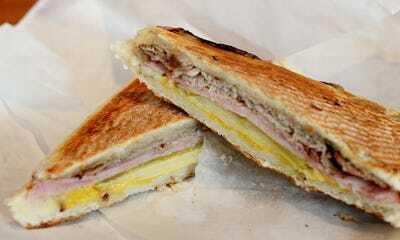 Cafecito serves traditional Cuban sandwiches and platters. For something lighter, order some plantains or just grab a Cuban coffee or cafe con leche. Crisp specialises in Korean barbecue and Asian fusion. Crisp's unapologetic, hearty Asian fusion and Korean barbecue draws rave reviews for their friend chicken and wings. The Seoul Sassy Fried Chicken Prices boasts their 'sassy' sauce, a combination of soy, ginger, garlic, and spices costing $US8.95 for a half or $US14.95 for a whole. Their lighter Buddha Bowls allow diners to choose a variation of marinated vegetables on top of rice and fried egg for $US7-10. 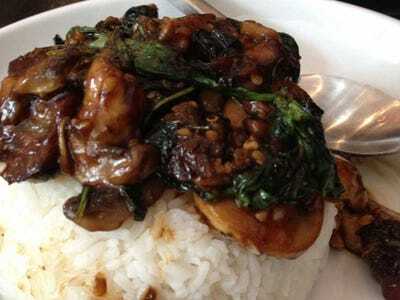 Andy's Thai Kitchen is proud of its authentic Thai cuisine. A noodle dish at Andy's. Nestled under a Chicago Transit Authority station, Andy's Thai Kitchen features a large menu ranging from spring rolls, seafood dishes, salads, soups, and noodle and curry dishes. Their Pad See Ew is a noodle dish with stir fry, broccoli, egg and sweet soy sauce, all for $US8. Fat Johnnie's Famous Red Hots ups the ante for hot dogs. 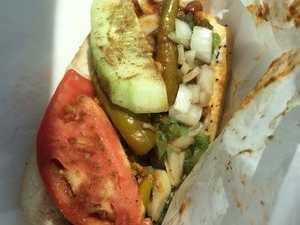 Fat Johnnie's is a dive-y hot dog stand that has become a tourist attraction for Chicago visitors. Anybody can get a plain old hot dog (Johnnie's Red Hot is still recommended), but their famous Mighty Dog combines tamales, chilli sauce, cheese, cucumbers, and onions into an odd, yet delicious flavour. Nuevo Leon offers traditional Mexican food with homemade flour tortillas. Nuevo Leon will fill you up before you have the chance to even order. The restaurant offers complimentary chips, salsa, and soups when customers sit down. 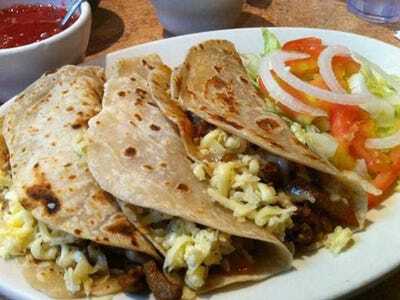 Try the tacos al pastor and enjoy the homemade flour tortillas, a diversion from the typical use of corn tortillas. Customers also rave about the mole sauce. Smoque is a straight-forward barbecue restaurant for BBQ fans. Located two blocks from Irving Park, Smoque was created by five guys who had a passion for barbecue and have spent considerable time finding the right cuts of meat, wood smoke, sauce, and cooking technique. 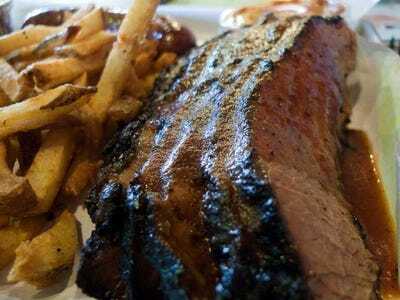 Order the half-slab of St. Louis ribs, which feature a dry, smoky rub and more meat than babyback ribs. Add cole slaw and two sides for a total of $US15.45. The brisket is soft and juicy, and for a $US9 sandwich, will even impress fans of Texas barbecue. Athenian Room offers Greek dishes with an American twist. The Athenian Room has drawn the praise of Tina Fey, which has undoubtedly helped its popularity. 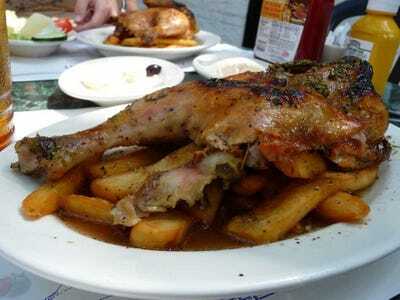 Fey, like many others, recommends the Chicken Kalamata Style, roasted, juicy chicken with a pile of Greek fries (steak fries with lemon and vinegar zest) for $US11. Other common choices are their Greek salads, crisp and fresh for $US6-7, or the gyros, which range from $US7-8. Even their most expensive item, the skirt steak, is only $US17. Roost Carolina Kitchen is an ode to Southern cooking. Roost's Carolina Kitchen began as a food truck offering only three items -- roasted herb chicken, buttermilk biscuits, and cucumber cole slaw. They have since moved into their own restaurant space where they have expanded their menu. 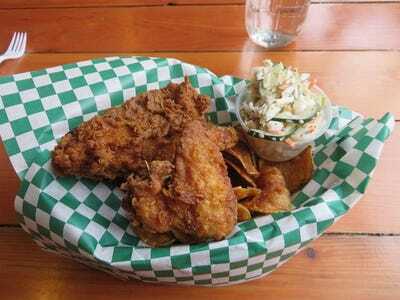 Their Bone-In Nashville Fried Chicken is a quality, southern-style fried chicken costing $US9 for a quarter of a bird, $US13 for half. Orders sides like cole slaw, mac and cheese, and buttermilk biscuits. Roost also offers some decadent desserts like peach cobbler and bread pudding for $US9. 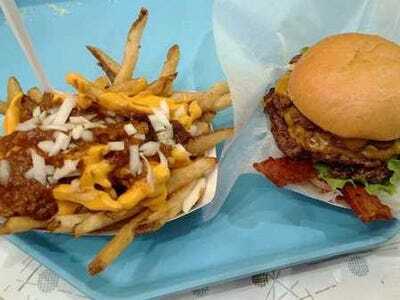 Edzo's Burger Shop offers simple grill items that draw rave reviews. 1571 Sherman Ave./2218 N. Lincoln Ave.
Edzo's menu won't blow anyone away -- the taste does the talking. The beef is ground fresh on location, and the burgers offer the straight-forward toppings: lettuce, tomato, pickles, etc. They cost $US4.75 to $US9.75, depending on the number of patties you want. What gets the most attention at Edzo's are the french fries, ranging from garlic-seasoned, to cheese fries, to loaded fries with cheese, bacon, sour cream, to buffalo-dipped fries, all about $US4-6. Pleasant House Bakery is cafe and bakery that sources most of their ingredients from their own farm. Pleasant House calls themselves a bakery and cafe, but they also serve lunch and dinner specials at cheap prices. 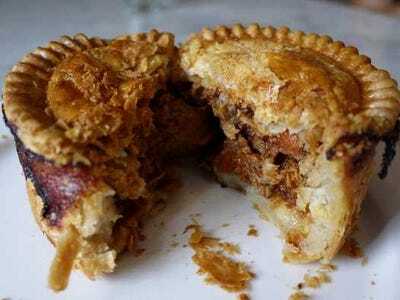 Their Royal Pies are twists on chicken pot pie, the best of which is the Steak and Ale Pie, featuring beef, ale, and herbs for $US7.95. The scotch egg is also a common side order for $US4.50. Interurban Cafe and Bakery offers variations on famous breakfast foods, like fresh-baked pop tarts, as well as lunch menu items like soup, chilli, or a roasted vegetable sandwich. 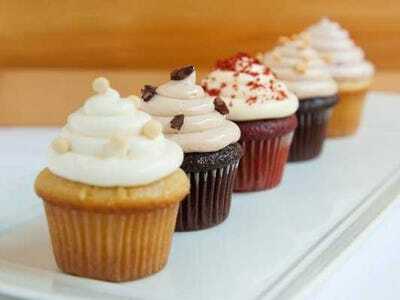 The desserts are the most highly recommended, like vanilla, chocolate, or red velvet cupcakes, available for $US2.75. They also have a wide array of cookies, which only cost $US1.50.